We offer our clients in NJ and NYC with promotional video creation and editing services. 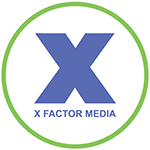 Here at X Factor Digital Marketing, we understand you are looking for professional video editing services to capture a significant event in your business or personal life. If there is a special event or corporate opportunity you would like to record, our skilled videographers and editing specialists can help. We will guide and assist you in organizing and communicating your ideas through video. For more information about our promotional video creation and editing services in NJ and NYC, please call (908) 376-6291 to set up your no-obligation consultation today.